Look at the Pentax camera I use in my sig. Okay. But in the catagory Pentax SLR Lens Discussion the Pentax 6x7 certainly qualifies as a candidate since I didn't see any other reference to format. 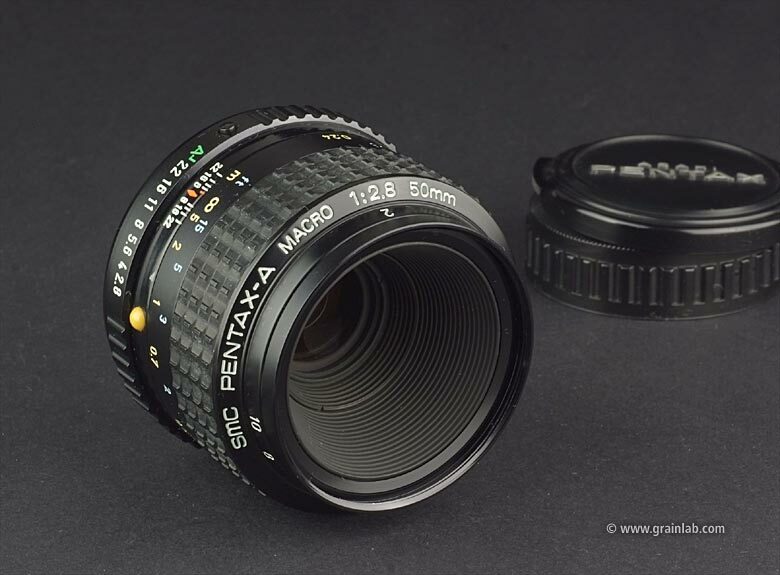 From my film use perspective I think, oh, Pentax also makes small format lenses? Also, it seems you are missing the M 50/2? But I still need some ideas and Tipps of testing and comparing. I dont want to open a discussion which one is the Best. I would say test sharpness, both at maximum aperture and stopped down. Also contrast (for extra points, do it both with and without lens hoods), bokeh, flare resistance, overall image quality. Include the photos for others to look at and make their own evaluations, but also draw your own subjective conclusions about the more subjective of the qualities listed above. Also evaluate ergonomic aspects, like manual focus feel and ease of use. Potentially evaluate on film, as well as digital. I am feeling a little unworthy now. Of all the lenses shown, I only have the M 50mm f/1.4, M 50mm f/1.7, M 50mm f/2 and A 50mm f/1.7. But then, I have one of these. So there is that to make me feel better. The M 50mm f/4 macro is also missing from the collection. Edit: there was an F 50mm f/2.8 macro as well. Last edited by Wasp; 09-16-2018 at 06:41 AM. @wheatfield: thanks for this link. Lets See if I can confirm these data with some pics. Is there a way to determine MTF at home with some software and charts at reasonable prices? All times are GMT -7. The time now is 06:05 PM. | See also: NikonForums.com, CanonForums.com part of our network of photo forums!